Happy Wednesday everyone! 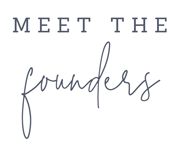 We're thrilled to have some great content for you today, brought to you by one of our sweetest Bloom Alumni, Jen of Girl Meets Party. Jen is a rockstar blogger who constantly creates new and fresh content, along with beautiful imagery. She is here today to give you 5 steps to start and new blog or business efficiently! We find comfort in routine and a routine is something you’ll need to build over time. Be patient with your journey. Everyone has their own unique path. Lastly, self-confidence can be a killer when you’re starting out. You’re attempting something new and it’s far too easy for self-doubt to creep up. To help, we’ve generated our top five tips to automate your work, generate a plan and stay confident on your journey by giving you a look into some of our favorite apps and strategies. If you were to hire someone, what would you look for? A clean website, consistent social media presence and brand image probably come to mind. To get started, determine a name and reserve the web domain from GoDaddy and social media handles on Facebook, Instagram, Twitter and Pinterest for it. Generate a logo. To get started, you can hire a local creative or find inexpensive designers on Etsy. Our first logo was $25 on Etsy. If you’re starting a blog, consider purchasing a template, which can be as inexpensive as $50. We highly recommend Empress Themes. They have stunning themes you can install yourself for $70. If you already have a website or need help setting your site up, they’ll assist for $325, which includes the theme. If you feel most comfortable setting goals before jumping in, check out our blog & social media planner to help. *Editors Note: Once you build up a following and see if your business is something you want to do long-term, we highly recommend investing in a branding and design professional. We loved working with Rachel of Intentionally Designed for Bloom's website. When you own your own business, the to-do list is endless. Learning how to prioritize your workload and where to deprioritize is vital. First things first, it will never be perfect. If you do this right, you’ll never reach the top because you’ll continually learn and grow, which is a great thing! There a few ways to maximize efficiency. We love Planoly – heart-eyed emoji for this app. Planoly allows you to plan out your Instagram posts and stories even enabling an auto-post feature. While they don’t offer a referral plan for new users, we’ll personally Venmo you $5 for signing up if you use this link. For copy editing, install Grammarly on your web browser. Think of it as spellcheck for a web page or email. If grammar isn’t your strong suit, this tool is a must-have. It’s helped our writing become more interesting and dynamic. Lastly, for photo editing and design work, Photoshop is ideal. However, if you’re not familiar with the platform, Canva is a perfect option. Business plans start at $13 per month and your options are endless. You’ve set up your business basics and you have a few tools in place to assist you in completing work. Now it’s time to make new friends and dabble in collaborations. Here’s where your trial and error journey truly begins. Online connections are a great way to start. We’re avid users of Blogging 4 Keeps on Facebook. Since we’re in Chicago, we belong to Windy City Bloggers. However, search for similar groups in your area as well. There are also Instagram accounts specifically designed to foster engagement and connection, such as The Décor Social, The Blogger Collectives, and The Wedding Collectives. We’ve found it can be a great way to drive engagement on your Instagram account and find other great accounts to follow. No matter where you start, we can’t stress this enough: be consistent. Always start with something manageable and then increase once you get your groove down. For example, if you’re blogging, we recommend starting with two to three posts a week. Be consistent about the days you publish. For starting out, we recommend trying to publish one Instagram post a day and two blog posts a week. To get started, set up blog posts to auto-post to Facebook and Twitter every time you publish. One of the most important things you can do from the onset of your business is investing in yourself. Your education and well-being are critical to your happiness and business growth. 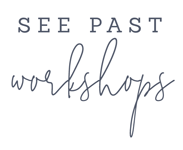 There are workshops nationwide you can attend. Our favorite has been The Bloom Workshop because not only did it foster creativity and learning, it generated tons of new connections in our city. There are classes on Brit & Co to broaden your experiences or Skillshare as well as a free branding mini-course from Be Bright Lisa. Lastly, we’ve started creative coaching through Girl Meets Party, which can be done in person or virtually. More details can be found on our services page. Getting started can be challenging, but each and every little accomplishment is so rewarding. Be sure to celebrate every step of the way and share these moments with your best cheerleaders. We’re proud of you for getting started and trying something new. Here’s to you! You got this! Affectionately known to her friends as Millennial Martha for her love of DIY and decorating, Jen’s can’t help but pour her heart + soul into everything she touches. She’s loved to entertain since acquiring a table and chairs, and giving gifts are one of her favorite hobbies. Jen is the creator of The Millennial Martha. Her dream is to share her passions with the world in hopes to inspire others by making the seemingly unattainable attainable.